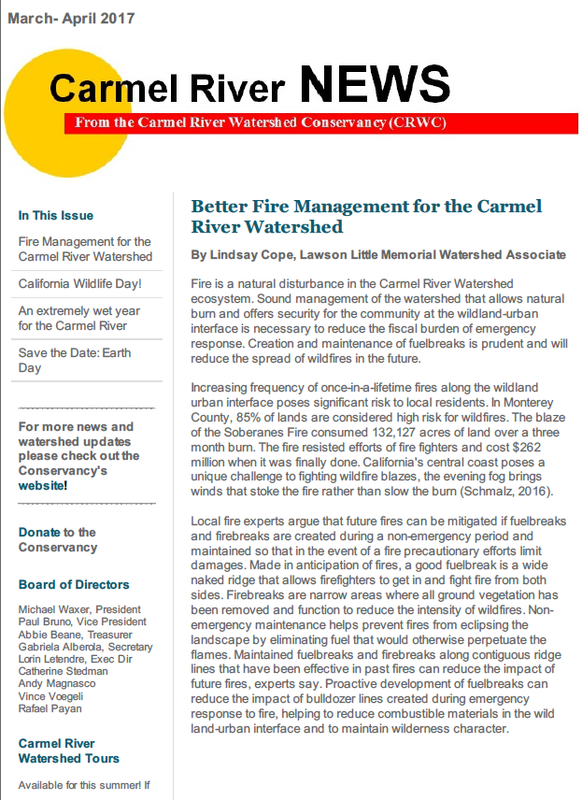 CRWC releases quarterly newsletters with updates about projects and activities around the watershed. If you would like to join the mailing list, please subscribe. How Can We Prevent the Spread of Nearby Wildfires? First Annual California Wildlife Day Celebration! 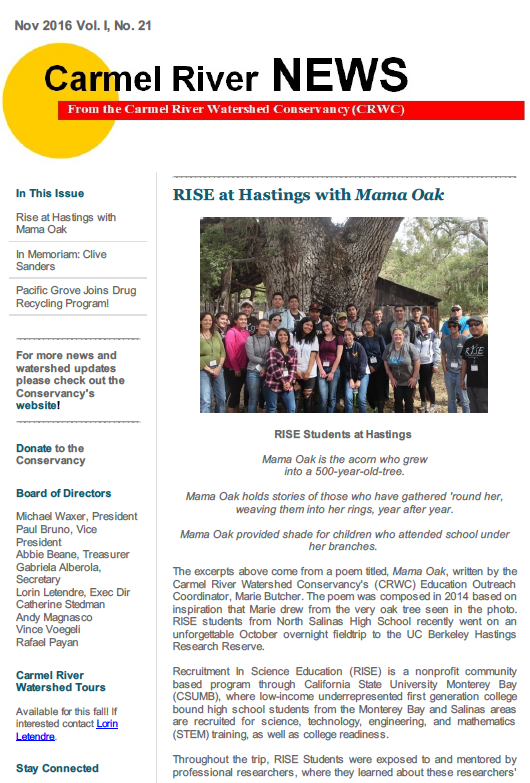 Pacific Grove Joins Drug Recycling Program! Can Scenic Road Bluffs be Saved? Break New about Drug Take-Backs! 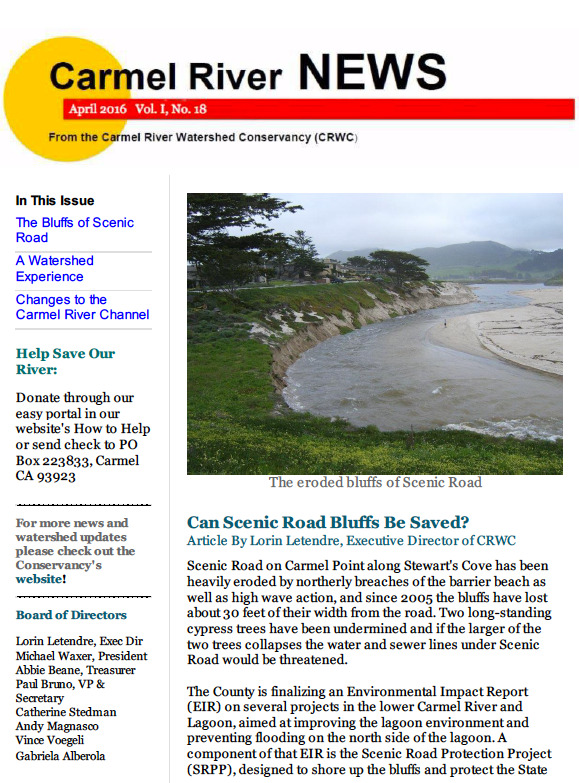 Carmel River Watershed a Heritage Site?